Jean-Patrique’s master craftsmen use only green-friendly materials and sustainable manufacturing technologies. Crafted from solid beech wood that is harvested from top-quality suppliers. 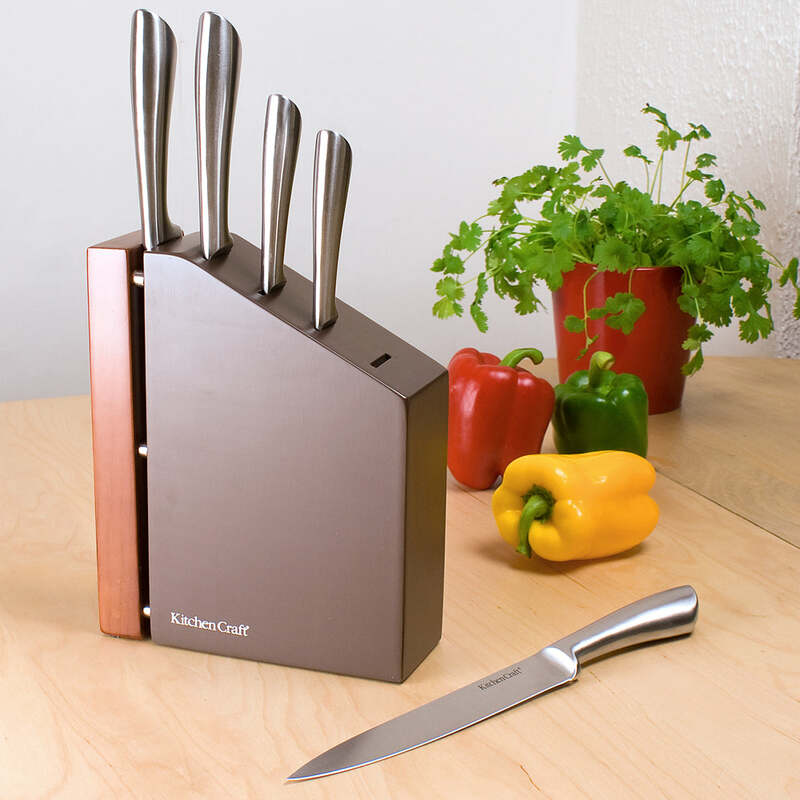 EXQUISITE DESIGN - A chef’s dream, show off your knife collection with this artisanal piece. HIGH QUALITY MATERIAL - Display your high-end knives with top-quality, solid beech wood knife block designed by master craftsmen. 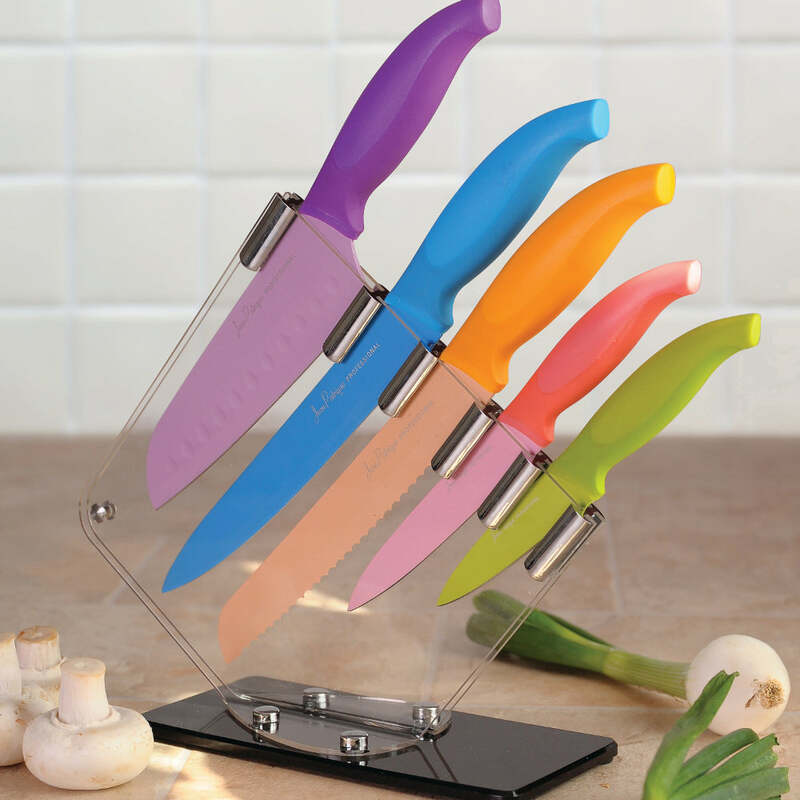 BIG STORAGE - Holds most standard 7-piece knife set, plus the 6-piece upgrade set. LACQUER FINISH - Lacquer finish and stain-resistant treatment keeps its natural wood looking brilliant and clean for many years to come. ECO-FRIENDLY - Eco-friendly, sustainable, green technology uses renewable wood resources throughout the manufacturing process. great has made my knife set tidy and accessible , the edges keep better than when loose. A hole to take a steel would have been the icing on the cake. Needed a block as I didn't buy one when I bought my Jean Patrique knife set. This is a large and attractive block with plenty of room for any additional knives I may buy.